the full run of play, but they were beautiful goals, weren't they? Well, this is a big match, innit? All of the talk of Arsenal's unbeaten streak has been tempered by the belief that they haven't played many competitors of note yet, aside from their two Champions League group matches and Tottenham before the transfer window closed. And that's true; I've noted that Arsenal's first nine league matches this season are all fixtures they won last year. That would mean they're -4 on points between last year and this year, despite being top of the league by two clear points. Astonishing really, and it goes to show you that the strength of schedule will pick up fast. Without a doubt, this match is Arsenal's biggest test of the season to date. Borussia Dortmund finished second to Bayern Munich in pretty much everything last season, though they did tear through Europe, winning last year's Group of Death before knocking off Shakhtar Donetsk, Malaga, and Real Madrid. They got off to a better start this season, winning Germany's Super Cup 4-2 over Bayern. They have catapulted into the upper echelon of European teams over the past three or four seasons. An Arsenal win would give them nine points, keeping them at least three points clear of Napoli and putting them six points clear of Dortmund. But make no mistake, the pressure is all on Arsenal to get that result tonight; if Dortmund come away from the Emirates with three points, Arsenal would suddenly be in a tricky situation. This match is the first of many, many big ones to come, so let's keep the ball rolling. 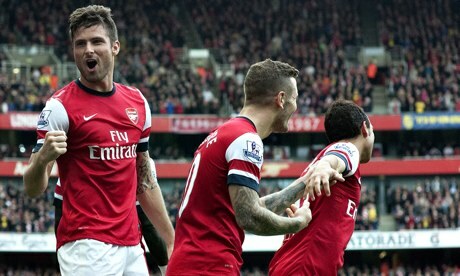 What do you think Giroud is saying here? I'll bet it's very French. Yesterday's big news was that Theo Walcott had a setback and training and is now set to miss another two weeks. Considering Arsene Wenger said on Thursday that Walcott was "two weeks away," I would say that was news before the Norwich game and isn't news now. I think the media just chose to ignore it until they could rock our world with breaking DREADFUL news before the clash with Dortmund. Meanwhile, Mathieu Flamini is out tonight after his clash of heads with Alexander Tettey on Saturday; Flamini was back in training, but head injuries are tricky business. Arsene Wenger has said he'll adhere to the "five day rule," meaning Flamini should be available for the trip to Crystal Palace this weekend. That aside, I expect very little in the way of changes; Arsenal looked free flowing and dangerous with the ball during the second half, once Aaron Ramsey settled in off the bench. I'd expect a starting XI tonight similar to that XI from Saturday. 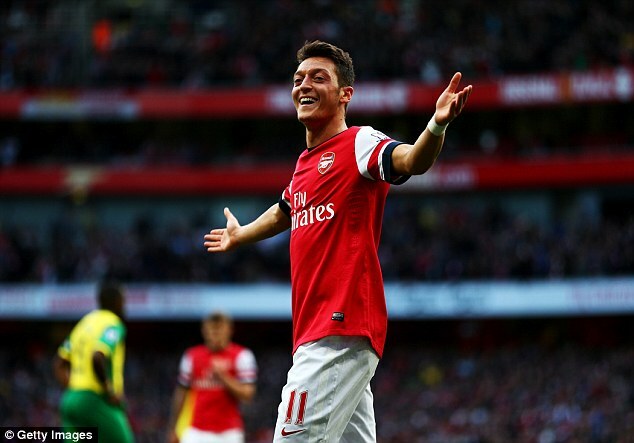 Predicted XI: Szczesny, Sagna, Koscielny, Mertesacker, Gibbs, Arteta, Ramsey, Wilshere, Ozil, Cazorla, Giroud. Dortmund were without center back Mats Hummels at the weekend; he had been sent off from Dortmund's last league match before the international break, though he is eligible in European competition. Hummels has been out of favor with the German national team as of late, with Per Mertesacker and Jerome Boateng starting most qualifiers in the center of defense. Hummels started last week for Germany against Sweden, though the Germans had already qualified beforehand. Goalkeeper Roman Weidenfeller returns to action after a one match UEFA ban for his Matchday 1 red card against Napoli. Marcel Schmelzer, out with a thigh injury, was fit enough for the bench at the weekend, but was not used. Dortmund must decide whether he is fit to return or whether Erik Durm should continue to deputize at left back. Despite various knocks, Sven Bender, Marco Reus, and Nuri Sahin (remember that transfer saga?!) all started at the weekend; Reus had Dortmund's lone goal from the penalty spot, but came off in the 66th minute. I'd expect all three to start tonight. In terms of long term injuries, Dortmund are without Sebastien Kehl, who suffered ligament damage to the ankle in training mid-September, Lukasz Piszczesk, who underwent hip and groin surgery over the summer, and Ilkay Gundogan, who has been out since August with compression of the spine. 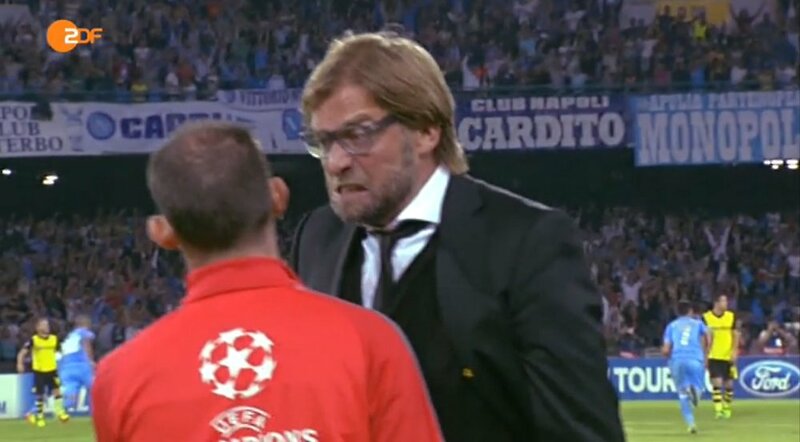 Manager Jurgen Klopp is banned from the touchline, after his tirade to the fourth official on Matchday 1 in Naples earned him a two match ban. He'll be back for Matchday 4 in Dortmund. Predicted XI: Weidenfeller, Grosskreutz, Subotic, Hummels, Schmelzer, Bender, Sahin, Reus, Aubameyang, Mkhitaryan, Lewandowski. Arsenal's unbeaten run has been extended to 12 matches after their 4-1 win over Norwich at the weekend; the three goal margin also marks Arsenal's widest victory since the 4-1 win over Wigan Athletic in last season's penultimate game. Arsenal's loss to Aston Villa to open the season is their only loss over their last 24 matches across all competitions, dating back to last March. Arsenal's last 13-match unbeaten streak came in September through November of 2009. Borussia Dortmund are currently second in the Bundesliga, one point behind Bayern Munich. Dortmund opened the league season with five straight wins before defeat to Napoli in the Champions League came in advance of a 1-1 draw at Nuremberg. After a 5-0 win over Freiburg, Dortmund were defeated 2-0 by Borussia Monchengladbach before the international break. They rebounded with a 1-0 over Hannover at the weekend; Dortmund's goal came from the penalty spot in the fourth minute. This is Dortmund's third consecutive season in the UEFA Champions League and they went all the way to the final last year, so it may shock you to find out that they've only won once away from home in those three seasons. They lost at Arsenal, Marseille, and Olympiacos in 2011, they lost at Napoli earlier this year, and picked up their only road win at Ajax last season. In their other road matches last year, they drew 1-1 at Manchester City, drew 2-2 at Real Madrid, drew 2-2 at Shakhtar Donetsk in the first leg of the Round of 16, drew 0-0 at Malaga in the first leg of the quarterfinal, lost 2-0 at Real Madrid in the second leg of the semifinal (but won 4-3 on aggregate,) and lost the final 2-1 to Bayern Munich at Wembley. fixture in 2011. Mario Gotze also left injured four minutes later. Arsenal and Dortmund have met twice before in the Champions League group stage, in 2002 and 2011. Arsenal won in London on both occasions, 2-1 in 2011 and 2-0 in 2002. Incidentally, both goal scorers from the November 23, 2011 match went on to join Manchester United the following summer. Dennis Bergkamp and Freddie Ljungberg had the goals for Arsenal in 2002. There have been 10 goals between the sides in four total matches, but only one of the goal scorers from those matches remains available to play in this game; oddly, that's Tomas Rosicky, who scored twice for Dortmund in a 2-1 win over Arsenal in Germany in 2002 (Thierry Henry had the goal for Arsenal.) All three Arsenal goals against Dortmund in 2011 were scored by the same guy who shall remain nameless, while Dortmund's equalizer in the 1-1 draw in Germany was scored by Ivan Perisic, who now plays for Wolfsburg. Arsenal faced German competition four times last year, but lost both home games by two clear goals, 2-0 to Schalke in the group stage and 3-1 to Bayern Munich in the round of 16's first leg. Their record in Germany was slightly better, with a 2-2 draw in Gelsenkirchen and a 2-0 win in Munich. Dortmund, meanwhile, picked up four out of a possible six points against Manchester City in last year's group stage, winning 1-0 at home and drawing 1-1 in Manchester. The match officials are from Sweden; the referee is Jonas Eriksson. Arsenal have seen Eriksson as referee once before, on Matchday 3 of last year, also at home, and also against German competition, a 2-0 loss to Schalke 04. Dortmund have seen Eriksson twice away from home and are winless in those two matches, a 3-0 loss to Marseille in 2011 and a 0-0 draw with Malaga in last year's quarterfinal first leg. Eriksson has taken charge of 19 Champions League matches in his career. English clubs have a record of one win (Chelsea over Porto in 2009,) one loss (Arsenal last year,) and one draw (Manchester City against Napoli two years ago) with Eriksson as referee, German clubs have two wins, three losses, and one draw.